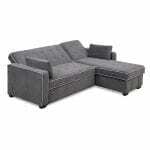 The Serta Augustine Convertible Sofa Bed is the Swiss Army knife of fold out sofa beds. 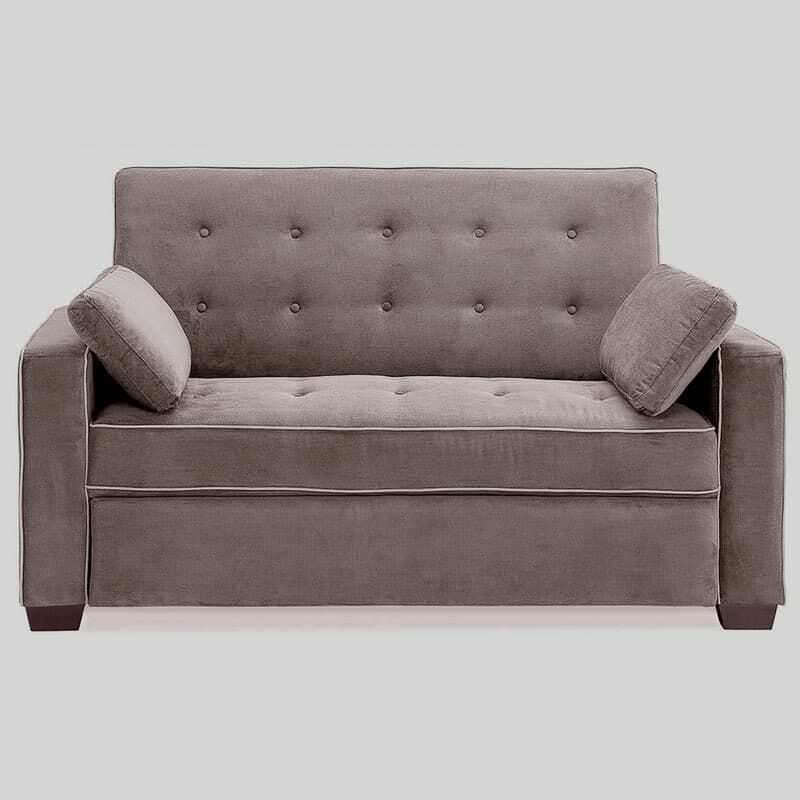 The sofa has high backs and provides comfortable back support. 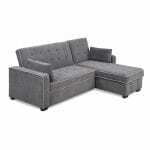 It features a sturdy wooden frame, plush cushioning, and a high quality fabric upholstery. 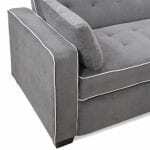 The back can be angled for a lounge position. This is perfect for binge watching your favorite programs or grabbing an afternoon nap. Fold the sofa back in the flat sleeping position and you or your guests have a standard size Serta mattress. The bed has a high quality steel construction and is easy for one person to operate. Safety is also engineered into these sofas. It has the pateneted Finger Guard. 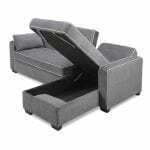 That means no one’s fingers or hands can get caught, squeezed or injured while folding or unfolding the sofa bed. 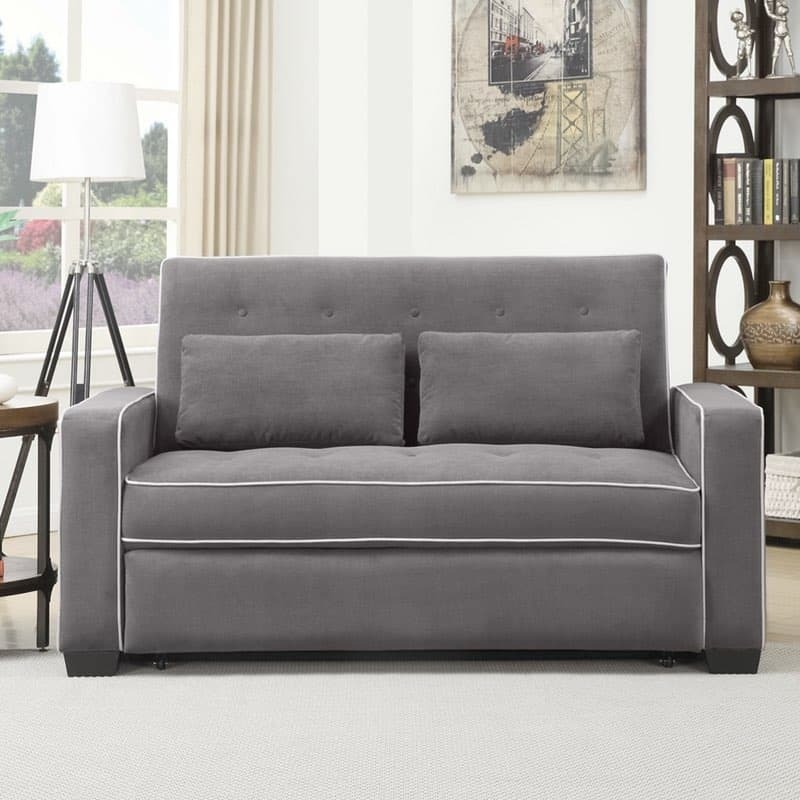 The Serta Augustine Convertible Sofa Bed is part of the Serta Dream Convertible collection. 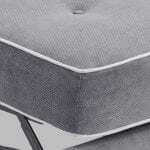 Serta convertible sofa beds have a patented Vise Protection System. The system uses a custom steel reinforced bracket system throughout the convertible’s frame, ensuring years of high performance. The Vise Protection System eliminates the possibility of splitting and cracking at stress points during conversion and usage. Serta convertible sofas feature the exclusive Finger Guard Protection System. The patented Finger Guard protects fingers from getting pinched or severed by the bed’s mechanisms. Each Finger Guard is made from the same high grade steel as the conversion mechanism and securely attached to each unit, insuring that fingers are protected. While traditional coil systems have springs that are wired together, springs in our Dream Coils are individually wrapped in fabric to create separate springs. This design allows each spring to move independently, respond quickly to movement, and conform to the contours of your body in any position. Memory foam cushions feature an all-foam support core that works to balance proper support with pressure-relieving comfort. The Cool Action foam is exclusively from Lifestyle Solutions. Maximum weight capacity: 400 lb.